This historic 1846 hotel was also a stop on the Underground Railroad, and several spirits are living here. In Room 5, the ghost of a young boy pulls on people’s clothing at night. His apparition has been seen on the landing. 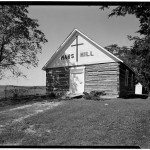 In Room 7, a man named Knapp was murdered, and his spirit lingers about the room. In Room 8, a floating head has been seen. 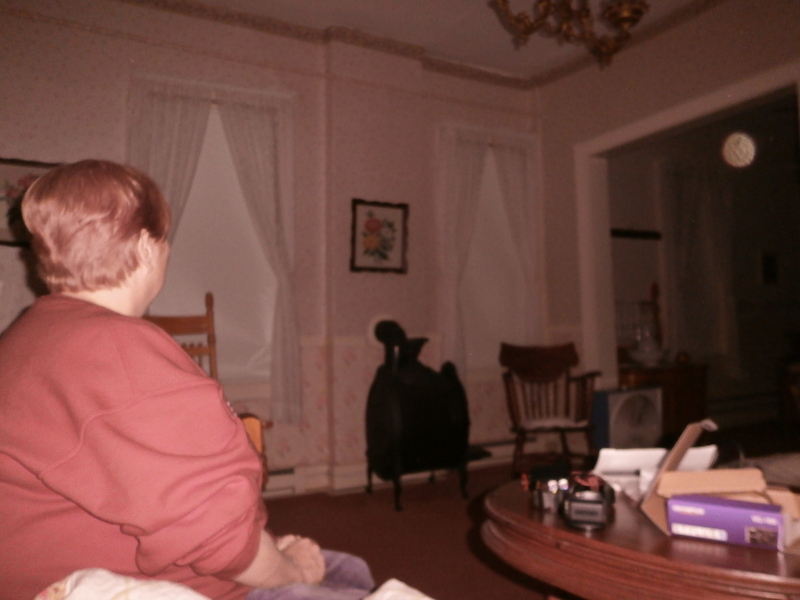 Also, in several 3rd-floor bedrooms, the ghost of an elderly woman has been spotted. This picture isn’t correct. The inn is a three story building with green window panes directly across the street from a bridge. I’m almost positive the building depicted in this photo is a art/pottery/rug shop down the road. This is not the Mason House Inn and Caboose Cottage – that is located one block to the right of the pictured building. This photo is of the General Store which now houses antiques/crafts and historical information. The blue building to the left is a rock shop and the pottery shop is farther to the left. Also, the Mason House is located in Bentonsport, Iowa – not Keosauqua, Iowa. My wife and I stayed here about 3 years ago. We witnessed the owners using a crystal to communicate with spirits. That night, my wife was awakened by something, and when she turned to see if I heard it, she said something was moving the blanket up to my chin. When she said my name, the blanket dropped, and quit moving. She also had something follow us home. She heard sounds in our bedroom that we hadn’t before. She called the owners, and they told us to just tell the spirits to leave, that they shouldn’t be here. She never heard the sounds again. me and my friend stayed here three times, I woke up and felt a very strong pressense of someone watching me. 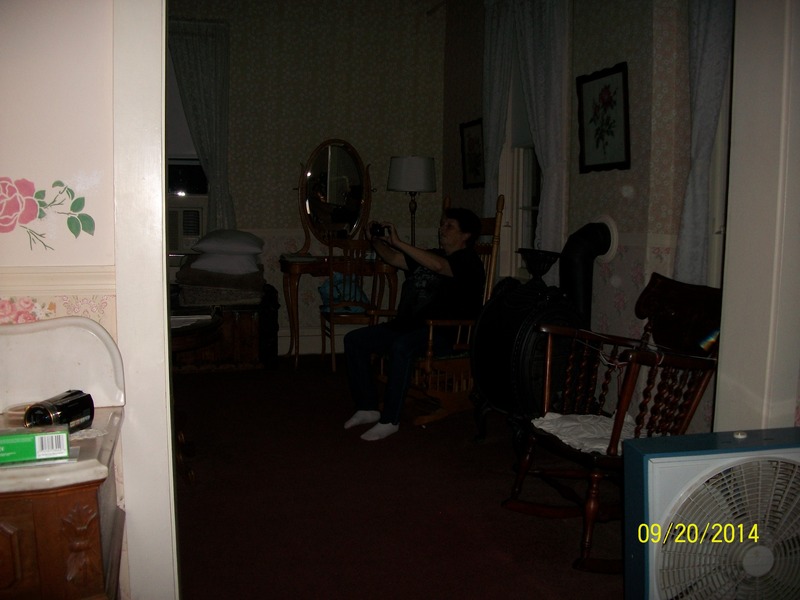 I also have very interesting footage of orbs , and even noticed the rocking chair moving slowly at one point when looking back threw my footage. We also got EMF readings. and yes the Mason House is located in Bentonsport IA , not Keosauqua, IA. The Mason House Inn is in Bentonsport, not Keosauqua. It is on the corner of Hawk Drive and Sanford Street. This map is wrong. It is definitely haunted by several friendly spirits. Another fun night @ the Inn with my daughters. Check out this orb. when I asked if they could make a noise to let us know that they where here with us, a load banging noise came from over by the dressing table. Amazing! This was my 5th trip here and will not be my last. And I thank Chuck & Joy for opening thier home to us. This inn is in Bentonsport, Iowa. 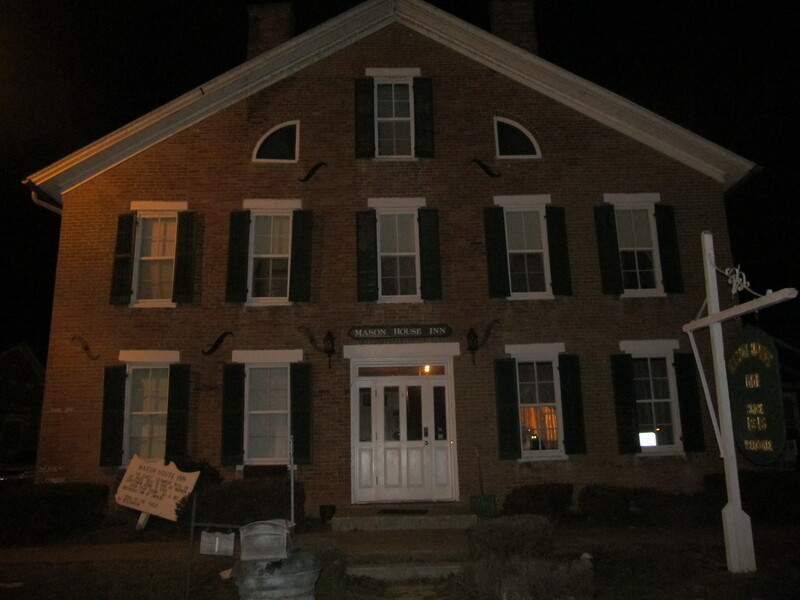 I went there for an investigation, with a large group, but everyone got side tracked and no real investigation of the inn was conducted by my group that night. Did investigate the general store next door and had questionable results there, BUT the church, just to the north of the inn and the general store, was a different story. I kind of hate to reveal what I heard there, but it was interesting, was verified by the group leader, as she had been there many times before, and I was the only one in my group of about 20 people who heard it, and I heard it several times. Like I said, I don’t want to give it away, because I want to see if anyone else hears what I heard. The church definitely has activity and is well worth the time and effort. I wanted a room at the Mason House Inn, but it was full, so can’t really say anything as to what goes on there.